Built almost 500 years ago, the Ben Youssef Madrasa in Marrakech feels like it has changed very little in that time. 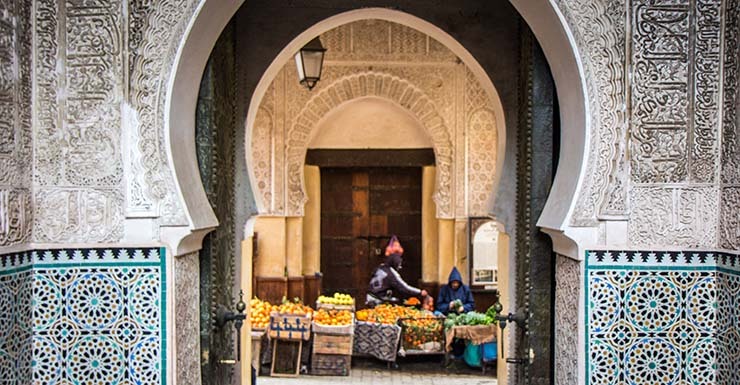 As you step through the front door from the wild alleys of the Moroccan city, the cool air brings physical relief but also a sense of calm. An inscription over the entrance reads, “You who enter my door, may your highest hopes be exceeded”. It could be a message for the tourists who find their way in here, not quite sure what to expect but drawn by guidebooks and recommendations. If so, it’s fitting because the hope of discovering a special slice of authentic Marrakech is indeed hidden away in here. Of course, the message was actually directed at the students who spent their time here in religious academia. The Ben Youssef Madrasa was once the largest Islamic school in North Africa and had up to 900 students at its peak. They all lived here on site and it’s hard to imagine today how they all fitted. Small dormitories arranged around the central courtyard was where they slept but it must have been a tight squeeze. At times, it must also have been a dark and isolating experience. The layout of the Ben Youssef Madrasa almost immediately erases memory of an outside world. The building doesn’t have a view outwards from the lower levels and the corridors between rooms seem to press inwards. In most of the small study rooms, there is no natural light and students sit in spaces along the wall with their teacher settled into a space at the end. The upper levels, however, are brighter and make clever use of sunlights and internal windows. This is where the teachers would have lived. 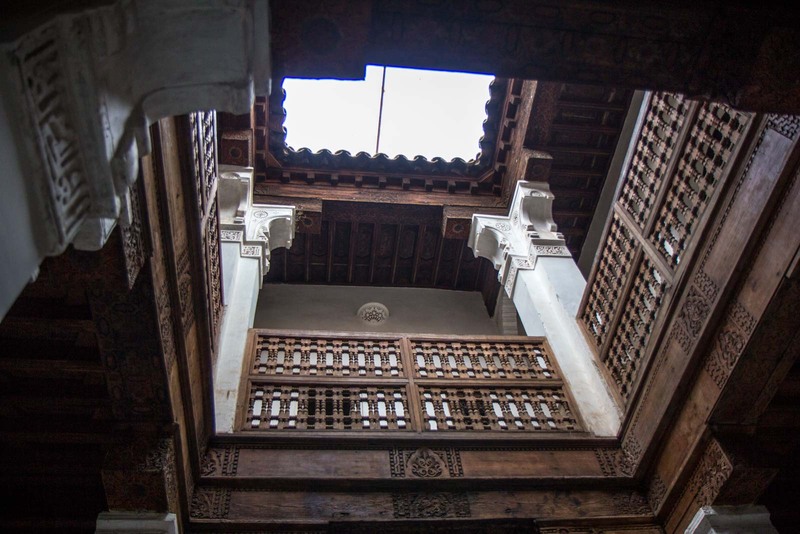 From this top level, it’s also possible to peer down into the central courtyard – and this is where the most beautiful part of the Ben Youssef Madrasa is. The courtyard is an intricate and colourful representation of Islamic art from centuries ago. Rather than depicting particular images, small tiles are arranged into mosaics of vibrant patterns. 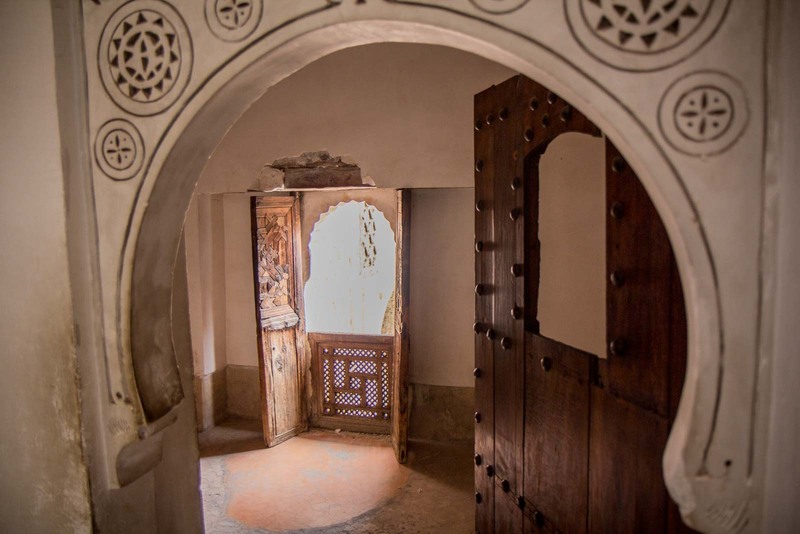 Plasterwork and carvings on the walls illustrate Arabic inscriptions and even more detailed patterns that conjure up a natural yet somewhat spiritual environment. The columns, the varied sizes of the doorways and the central pool all fit together in harmony. The Ben Youssef Madrasa was in use for teaching right up into 1960 but is now open just as a historical site. Clearly very little has been altered or developed since construction was finished in 1565. Although many guides do not consider it to be one of the top sites to visit in Marrakech, it would a shame to miss it. NOTE: Unfortunately the Ben Youssef Madrasa is currently (2018) closed for an extensive renovation. There is no official date for the reopening at the moment. Awesome post. I visited this twice last month, but had no idea it was once the largest Islamic school in North Africa! This is one of my favorite things to do in all of Morocco. I looooved admiring the details. Very cool post! Interesting to read a little history while checking out the amazing architecture. Thanks for sharing! It’s such beautiful architecture, isn’t it? I love the colours and the art of these old Islamic buildings. It’s so detailed but also leaves a lot up to the imagination of what it represents exactly. On my way to London this morning with a painting to hang….couldn’t for the life of me remember what the name was exactly, and lo and behold, found this blog. Wonderful pictures and informative text, thanks TTT! It will be something to explore on my return. We stayed in the Medina over Christmas 2014. Ha – awesome! So glad I could be of some assistance.